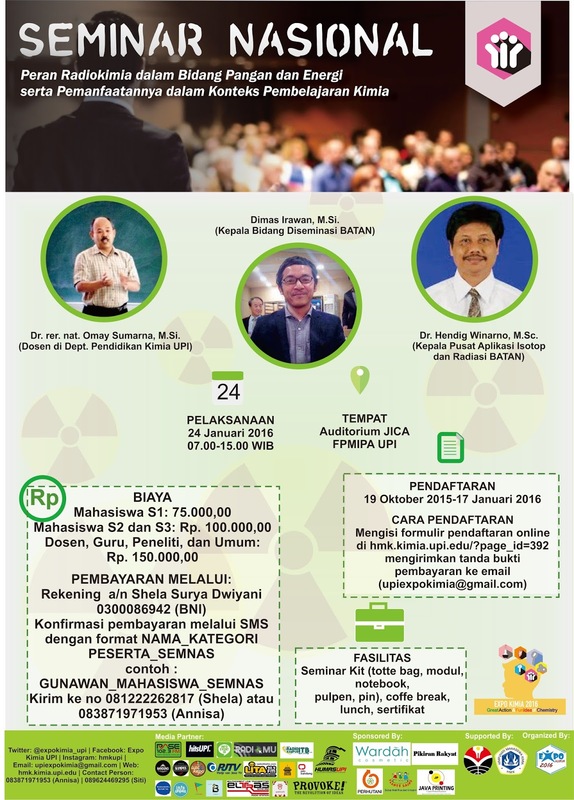 Pendaftaran 19 Okt – 10 Jan 2016. Pendaftaran 16 Nov – 17 Jan 2016. Pendaftaran 16 Nov -20 Jan 2016. 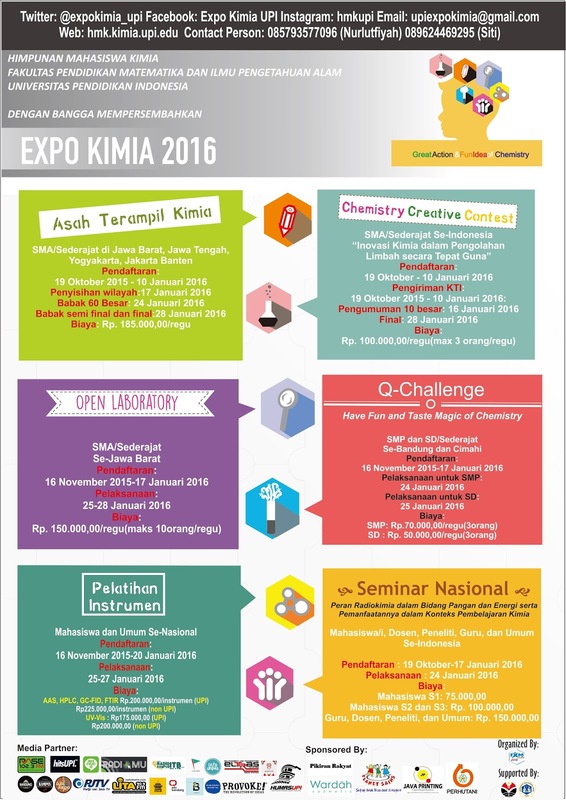 Get the form at: http://hmk.kimia.upi.edu/?page_id=392. 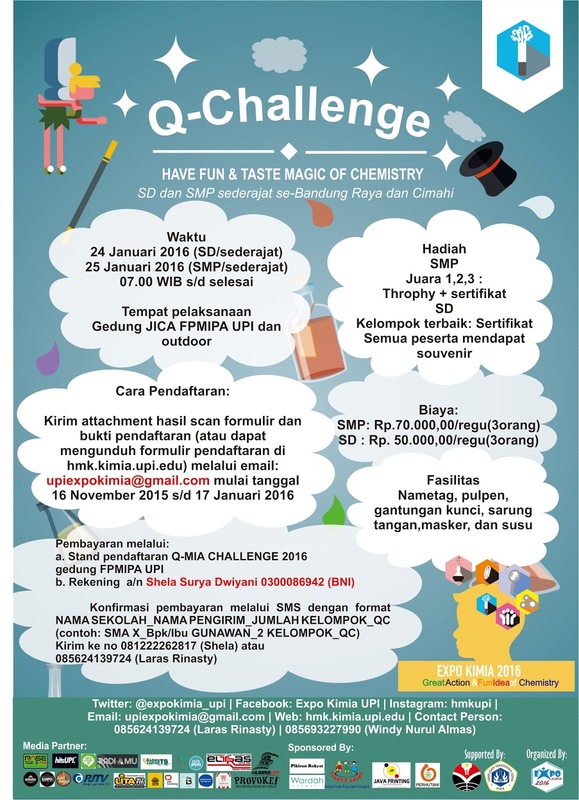 Get Ready to be Sciential, Creative, and Innovative! !